A letter of Solidarity with United Teachers of Los Angeles. Students, parents, educators: Together we raise our voice to make real changes for public schools! LAUSD superintendent Austin Beutner and the school board majority refuse to spend their $1.86 billion in reserves to support our students. Instead, they want to create conditions of austerity to justify their cuts to neighborhood schools. 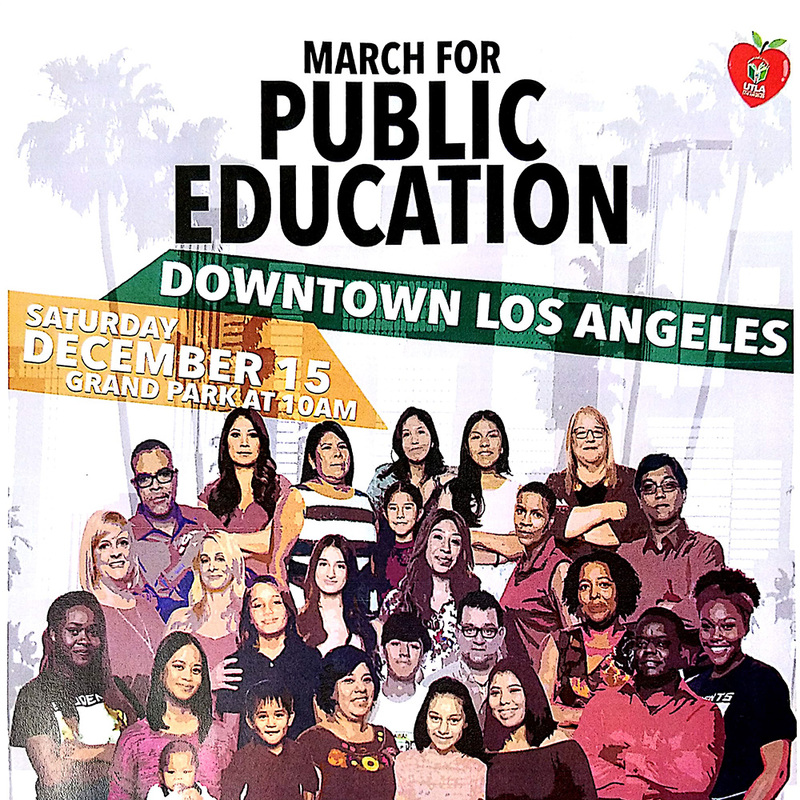 Join us in demanding that Beutner and the board invest in educating the children of Los Angeles – ALL of them, not some of them! In Memory of: Ronald Heintzman and Robert Baker, Sr.
Five $8000 scholarships are awarded each year. Also six $2000 scholarship are available for award to applicants who will attend a technical or vocational post secondary school. The competition is open to ATU members, their children and their grandchildren. All applicants must meet the eligibility requirements and satisfied these rules and procedures. For each scholarship winner, the ATU will deposit up to $8000 with an accredited college, or a technical or vocational post secondary school, where the award winner will be attending. 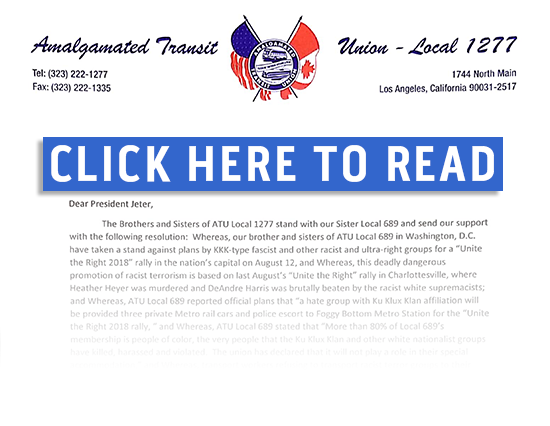 A letter to President Jeter of ATU Local 689.